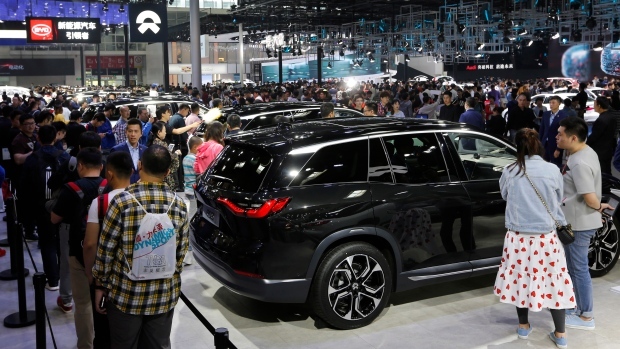 SHANGHAI -- Automakers showcased electric SUVs and sedans with longer range and luxury features Tuesday at the Shanghai auto show, wooing Chinese buyers as Beijing slashes subsidies that helped to launch the industry. Two of China's biggest state-owned automakers unveiled models they said can travel 600 kilometres (370 miles) on one charge, or nearly double the range of global competitors. 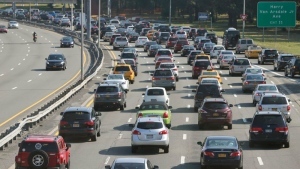 If that can be achieved, it would raise the standard for an industry trying to compete with gasoline models by defusing "range anxiety" or fear of being stranded with a dead battery. BJEV, one of the biggest electric producers by sales volume, unveiled the EX3 sedan, which it said can travel up to 630 kilometres (390 miles) on one charge. Ma said it is one of five new electric models under a plan to "transform and upgrade" BJEV into a brand that can compete without subsidies. In Shanghai, the GAC electric car unit GAC New Energy unveiled the Aion LX SUV, which it said can travel 600 kilometres (370 miles) on one charge. The unit's deputy general manager, Xi Zhongmin, said no price or release date have been decided. China's BYD Auto, the biggest global electric brand by sales volume, displayed three new pure-electric models that were unveiled last month. All promise more than 400 kilometres (280 miles) on one charge. On Monday, GM unveiled Buick's first all-electric model for China. GM says the four-door Velite 6 can travel 301 kilometres (185 miles) on one charge.